European Parliament to give Israel prize as the leading Middle East nation in gender equality at Women in Parliaments conference. The European Parliament intends to give Israel a prize Wednesday, recognizing it as the leading nation in the Middle East and North Africa in terms of gender equality. The "Reducing the Gender Gap" prize will be given at Women in Parliaments Global Forum Annual Summit in Brussells, which is expected to bring together over 9,000 international female parliament members. Supreme Court Judge Dafna Barak-Erez will accept the prize for Israel. Various female MKs will represent Israel at the conference, and MK Shuli Mualem-Rafaeli (Jewish Home) will speak about her life story. Israel was found to have the best record in the Middle East based based on extensive research conducted by the World Economic Forum among 135 nations. Women's rights in the Middle East have long been a point of concern. Earlier this month a study found Egypt to be the worst nation in the Arab world for women's rights, following a UN report in April that found 99.3% of Egyptian women and girls had been sexually harassed. 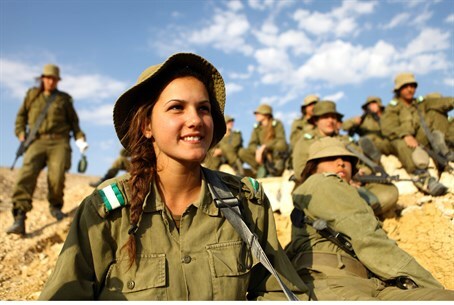 This latest research that the prize is based on, which examined gender equality and resource division, ranked Israel 53 in the world, after it was placed 56 last year. Iceland and Scandinavian nations lead the list, while Syria, Chad, Pakistan and Yemen come in at the bottom. In terms of wage gap between the genders Israel ranks 45 according to the research, 36 in proportion of women in senior job positions, and 58 in female representation in parliament.